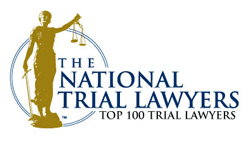 Published on Jan 8, 2019 at 4:09 pm in Truck Accidents. Motor vehicle accidents always have the potential to be devastating. When a semi-truck is involved, the chance of serious injury or death increases because of the truck’s added size and weight. Unfortunately, someone could potentially be hospitalized or suffer from catastrophic injuries following a truck accident. One of the most devastating types of truck accidents occurs when a commercial truck’s trailer and cab don’t accelerate or decelerate at the same rate of speed in a short amount of time. If a trucker slams on their brakes very quickly, for example, the momentum of the connected trailer may carry the trailer forward and surpass that of the cab’s momentum. This can cause the trailer to skid forward into a “V” shape in relation to the cab instead of its normal position behind the cab, mimicking the shape of a jackknife or pocketknife. When the entire trailer skids forward, any vehicles in the nearby lanes are likely to get pushed into and aside, causing a serious accident that often gets referred to as a “jackknife” accident. The entire truck’s momentum moving forward may additionally cause other vehicles to collide into the tractor trailer as it slides in whatever direction the momentum is carrying it in. How Do Negligent Hiring Procedures Help Encourage Truck Accidents? Published on Oct 31, 2018 at 6:37 pm in Truck Accidents. Truck drivers travel thousands of miles and spend countless hours on the road each year. Because of this, there are certain requirements in place to improve roadway safety and reduce the chances of crashes. Not all trucking companies, however, abide by these laws. Recent investigations have held trucking corporations under heavy scrutiny. According to data from the Federal Motor Carrier Safety Administration (FMCSA), in 2016, over 4,500 large trucks and buses were involved in fatal crashes. Nearly 120,000 large trucks and buses were involved in collisions that resulted in injuries. These numbers are on the rise. In order to understand why these events happen, you may benefit from understanding where trucking companies sometimes make mistakes. First, let’s go over the most common causes of truck accidents. While some truck accidents are related to inclement weather or defective parts, the majority are a result of human error. Below you’ll see some of the most common behaviors exhibited by truck drivers who end up in crashes. Speeding. An accident can happen when a truck driver is operating their vehicle faster than the posted speed limit sign or too fast for the weather conditions. While truckers are generally aware of the dangers of speeding in such large vehicles, some may choose to do so because of pressing deadlines from their employers. Aggressive Driving. Aggressive driving includes speeding, tailgating, weaving in and out of traffic, failing to stop or yield, deliberately blocking attempts to pass, and ignoring traffic signs and signals. Neglecting Road Laws. The road laws developed at the state and federal level are in existence for a reason. The laws are established to improve the safety of the roads. When truck drivers purposely neglect road signs, weight limit laws, or cargo protocols, they put themselves and other drivers at risk. Distracted Driving. Distracted driving is one of the leading causes of vehicle accidents in the United States. Because truck drivers are on the road for long periods of time, they may get bored and decide to text or access social media on their phones, eat or drink, or watch television. In some cases, their minds may just wander. Drunk Driving. While no one should get behind the wheel of a vehicle while under the influence of drugs or alcohol, driving a truck requires intense concentration at all times. Truck drivers who choose to drive drunk are especially dangerous because of the size of the vehicle they’re operating. Improper Maintenance Routine. Because of how often they’re driven, tractor trailers need to be properly maintained. This includes examining the tires, checking the engine, changing the oil, and keeping log books so the maintenance is on record. When this isn’t completed, the trucks risk malfunctioning. Service Hour Violations. Unfortunately, truck drivers are often overworked and tasked with meeting strict deadlines. Because of this, many choose to forgo resting regulations and drive longer than they should. Falling asleep behind the wheel can be deadly. The FMCSA has specific guidelines in place in an attempt to ensure trucking companies only hire reliable drivers. In general, trucking employers are supposed to make sure the applicant has the proper commercial driving license and proper certifications and trainings, check the driving record for any past incidents, and screen medical history, drug use, and past criminal behavior. Unfortunately, some employers cut corners. FMCSA has a comprehensive list of laws regarding trucking safety. Their laws establish guidelines for the company, driver, drug and alcohol testing, HazMat, hours of services, household goods, USDOT number, vehicle, and vehicle marking. If you feel as though your legal matters after being involved in a truck accident aren’t going the way you want, we can help. Contact us today for more information. Published on May 17, 2018 at 1:41 pm in Truck Accidents. Drunk driving remains a threat to innocent motorists, their passengers and others using Maryland’s roadways. A crash involving a drunk driver and a passenger vehicle has enough potential to be serious or deadly, but when a truck is also involved, the force of the impact only increases. Under these circumstances, a truck accident tends to increase the possibility of fatalities exponentially. On a recent Monday, a Penske truck driven by a 49-year-old man careened into the rear of a passenger vehicle carrying a family of three. The impact critically injured the 3-month-old boy in the backseat of the vehicle. Troopers with the Maryland State Police report that the baby’s parents “did everything right” in that the baby was properly strapped into a car seat. It just wasn’t enough, and the infant died on the Thursday following the crash. Published on Mar 14, 2018 at 1:26 pm in Truck Accidents. Working long hours, family obligations and other circumstances can make it difficult to get adequate sleep. Most Maryland residents can recall at least one time when they felt tired all day long due to sleep deprivation, but still had to get on with their lives, which may have included driving. An extra cup of coffee, soda or energy drink may have provided enough alertness to get through the day, but they probably were not on the road all day. What about the trucker who struggles to stay awake while driving all day? No amount of caffeine can erase the increased potential for a truck accident. Could hackers turn our cars and trucks into remote-controlled “toys”? Published on Feb 1, 2017 at 9:04 pm in Truck Accidents. COMMERCIAL VEHICLES ARE THE MOST VULNERABLE. YIKES. It’s one of those science fiction scenarios that is not so far-fetched. Everything on modern vehicles is run by computer. Many of those different parts and devices are wirelessly connected. And those connections are not always secure. Experts worry that hackers – from terrorists to teenagers – could essentially hijack a moving motor vehicle, turning it into a giant remote-controlled toy. A big truck could be a powerful agent of destruction, and trucks may be most vulnerable to hacking because they are more extensively networked. Industry experts and government regulators are attuned to the potential safety issues, especially at the dawn of self-driving vehicles. Hopefully, they are engineering security systems and failsafes to prevent access by outside parties.